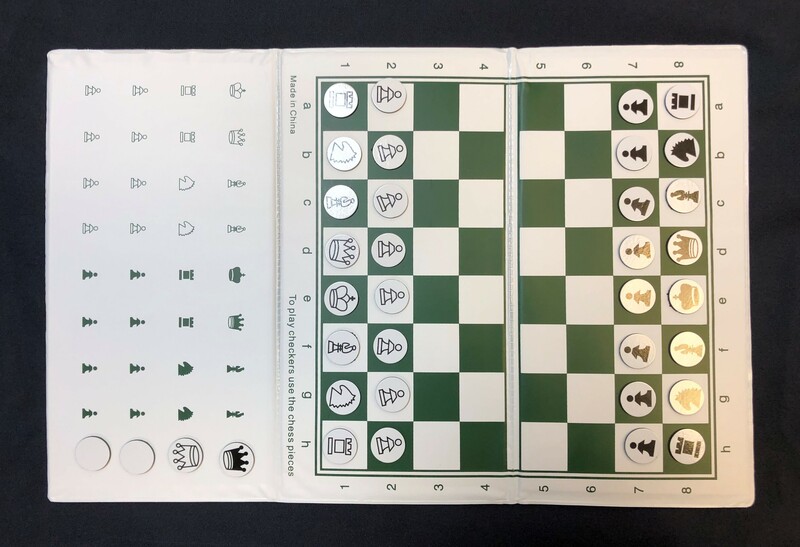 Large Checkbook Folding Magnetic Chess Set 9" "
Large Checkbook Folding Magnetic Chess Set 9"
Magnetic Analysis Chess Set. 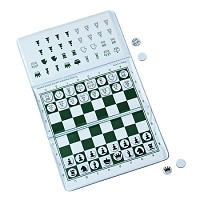 Upsize from the pocket checkbook Magnetic Chess Set. 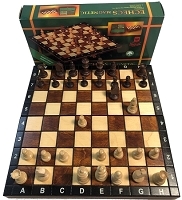 Tri Fold Chess Set. 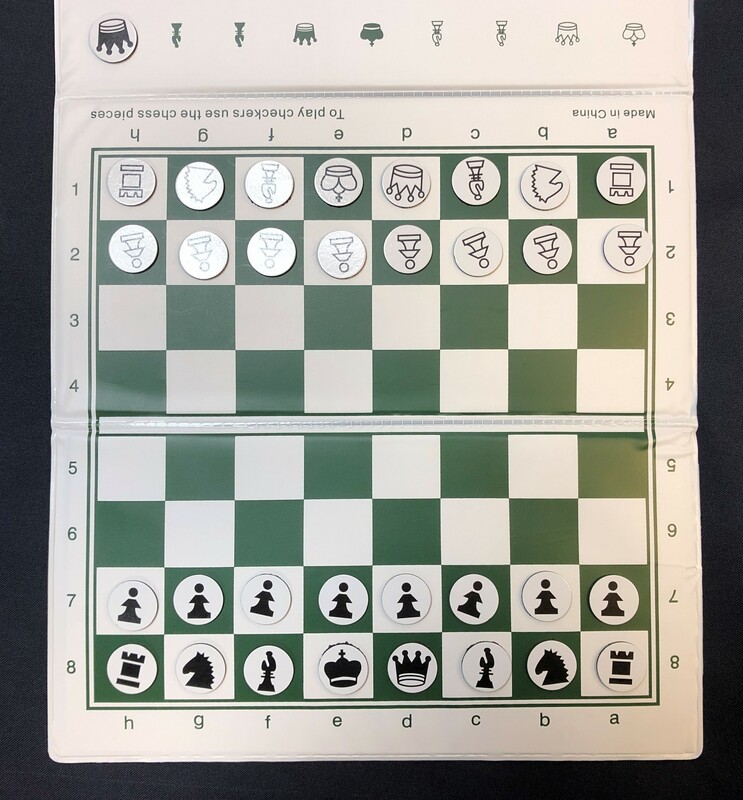 Great for coaches. 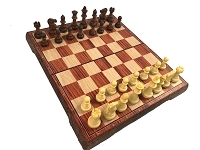 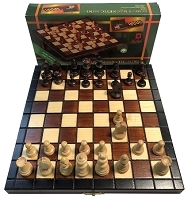 Large Size Folding Magnetic Chess Set. 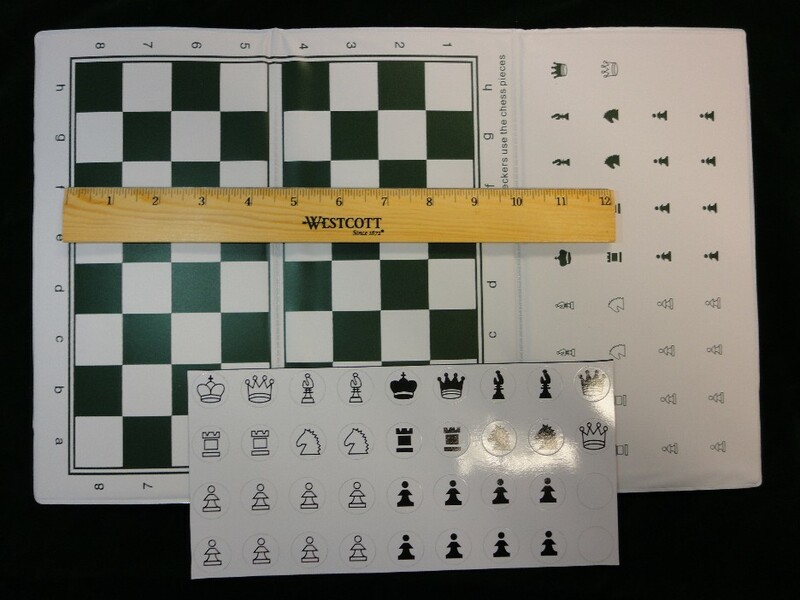 Dim when Folded: 5 1/2" x 10 1/2"
Magnetic Pieces have extra queens and 2 extra pieces in case one gets lost. 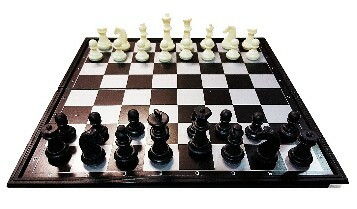 Pieces store on side of board.